Is this not THE cutest little Sweet Bunny you ever did see?? I had to order it right away – and I’m gonna be coloring it as much as I did that crazy giraffe last year, I think. Sooooo cute! 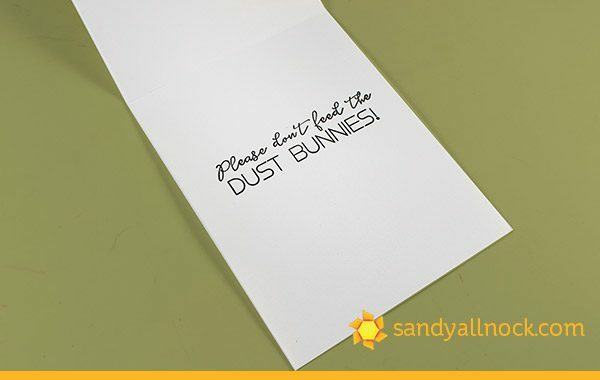 And if you’re wondering why this card is called Dust Bunny….this is the sentiment on the inside. 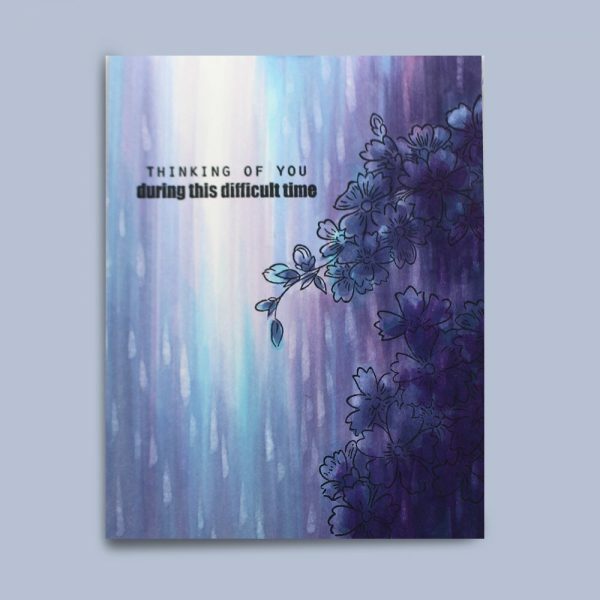 For what occasion should I send this card??? LOL! 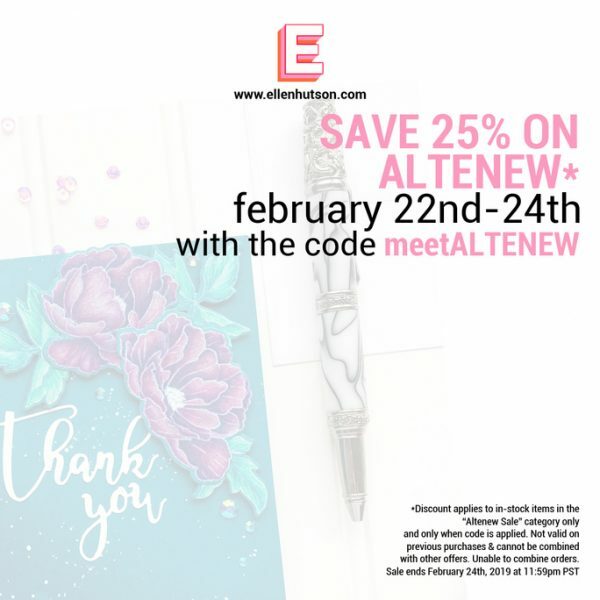 There’s a sale going on for 25% off these Altenew goodies using code meetALTENEW- and I had these two cards made in all my practice for the upcoming rain classes using Starry Flowers, which are in the sale category. Yep you’re welcome! Classes in copic, watercolor and pencil are coming March 1, if I can get all the voiceovers done and videos uploaded over the next week…wish me luck! 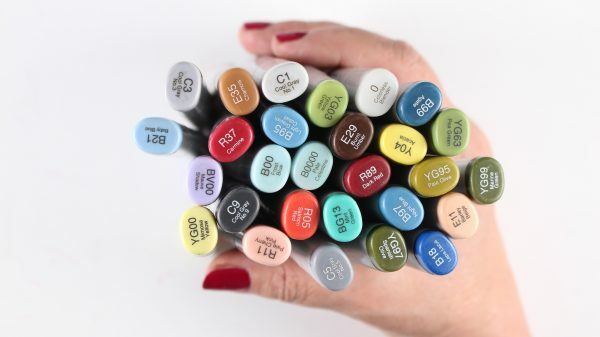 And one more tidbit: for the Rainy Days classes, the Copic colors I’ll be using are these – in case you want to add one or two to an order this week. But remember you can substitute. 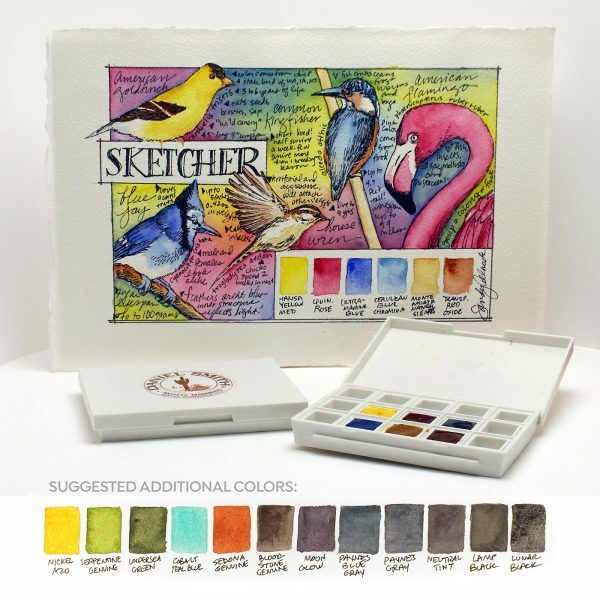 With colored pencils I generally assume everyone has a good selection of colors since they’re much less expensive; and for watercolor, you’ll be able to mix colors, most likely, but I’ll be using my main 2019 palette (not all colors in it but if you have substitutes you’ll be just fine). A white gel pen is recommended for all the classes OR a fine brush and some acrylic white paint of some kind if you don’t find a gel pen works for you. Really cute bunny. I love her different colors. I could definitely use a sentiment like that. Household chores are not high on my fun list and sometimes the laundry, or vacuuming or dusting gets replaced by card making :). So if I had someone visiting, I might leave that card in her room as a joking reference to my housekeeping skills. 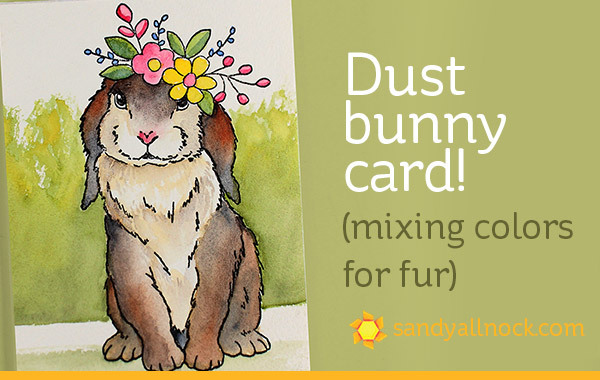 This card is sooooooo adorable Sandy! I love it! 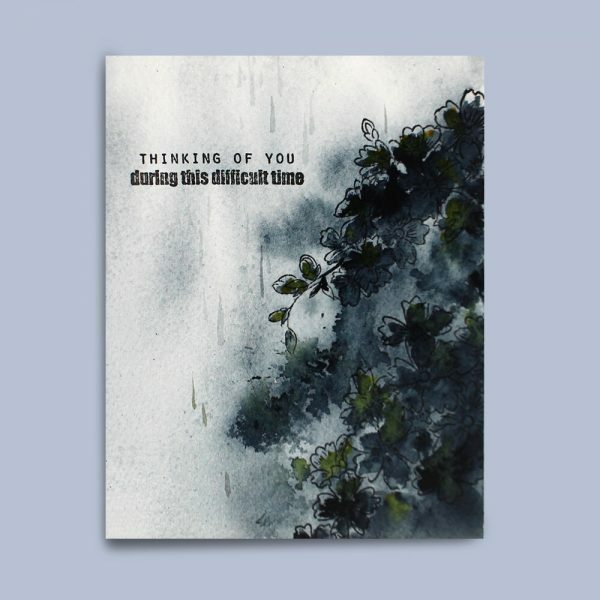 It looks like the bunnies that come into my garden… the ‘rain’ cards are stunning too. I have so many classes on the go but will have to do that one too! 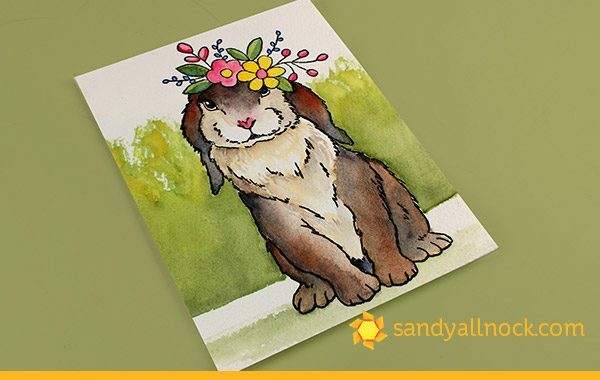 Looks like this bunny lady is all set to go grocery shopping in my garden! Super stamp set – I love I.O.’s sentiments especially – and super watercoloring. Every time I see one of these tutorials, I say to myself, “Ah, that’s what I’ve been doing wrong!” So I’ll stop using the heat gun quite so much – thank you!